Mr. Jordan Marr’s senior psychology class is currently studying about human behavior. For this lesson, each student created a poster, depicting his or her personality through the use of images. 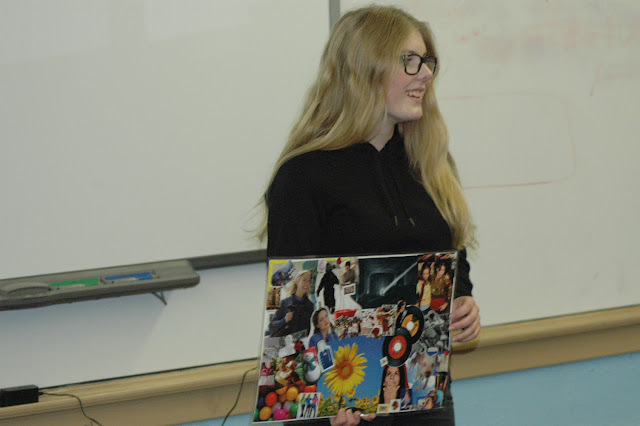 In the picture, Madeleine Ensrud is sharing with the class her poster and answering student questions. The students will continue their study of behavior by creating a survey and participating in a naturalistic observation experiment.